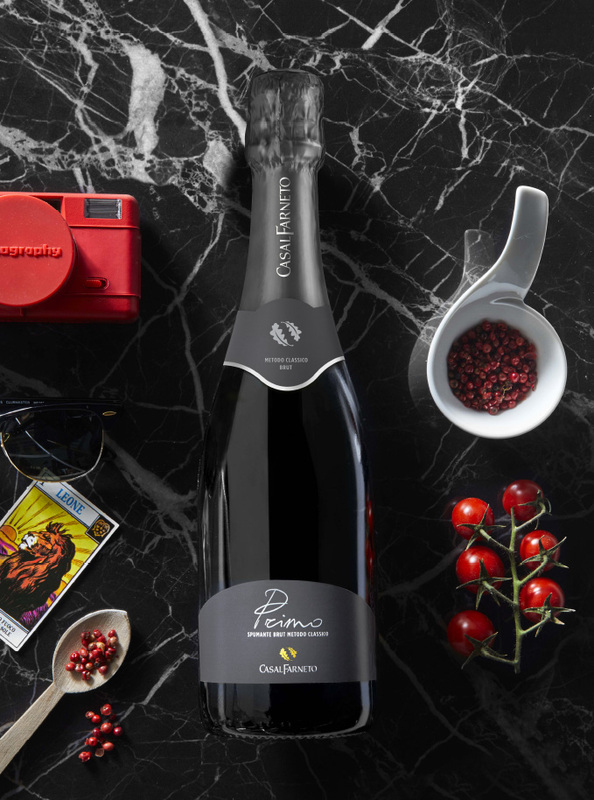 Casalfarneto sparkling wines present their very own freshness and quality in “Primo Selection” with up to five different ways to enjoy their sparkle, from Tradional Method Brut to Verdicchio, including Passerina, the organic sparkling wines and the Moscato. These last ones are produced in accordance with the Charmat Method; an intense productuvity rooting in the figure of Primo Togni, and in his everlasting wish to improve. 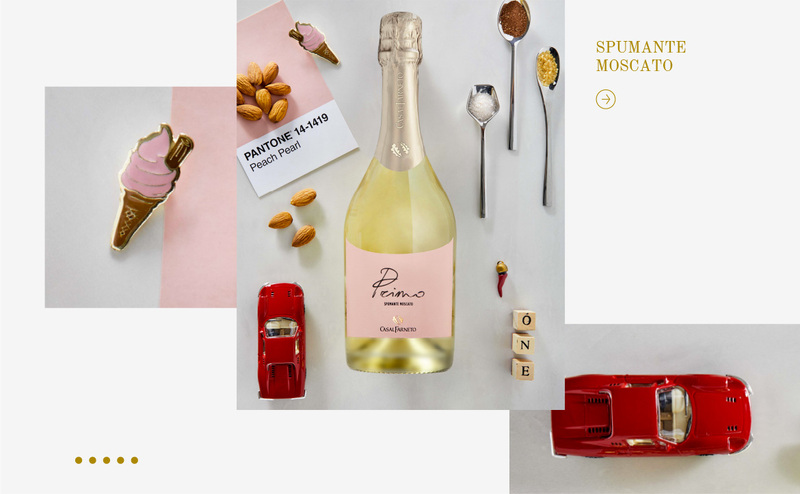 With a mix of delicate flavours and ancient traditions, all the sparkling wines forming “Primo Selection”, derive their characters from the guidelines left by Primo, a constant source of inpsiration for changing and growing the Casalfarneto company itself, since the very first years of activity. 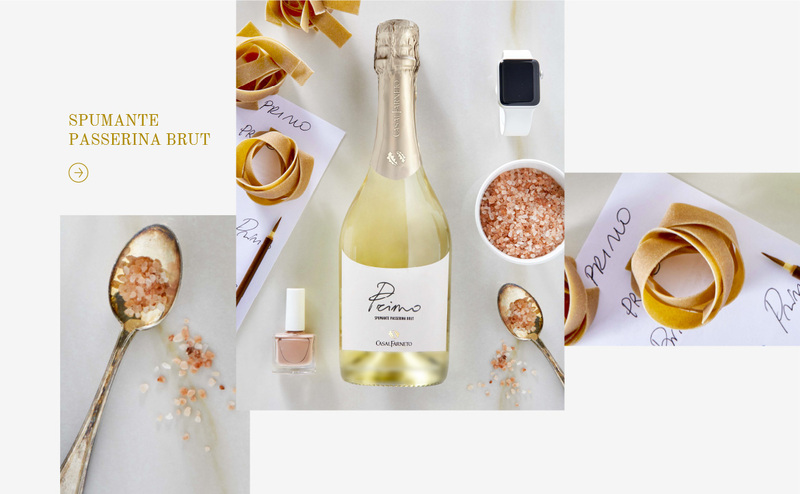 Primo disclosed the value of time, a tenacious and irreplacable feeling for both the cellar and the production process of wines, each demanding a peculiar care before being able to release their distinct sparkle. 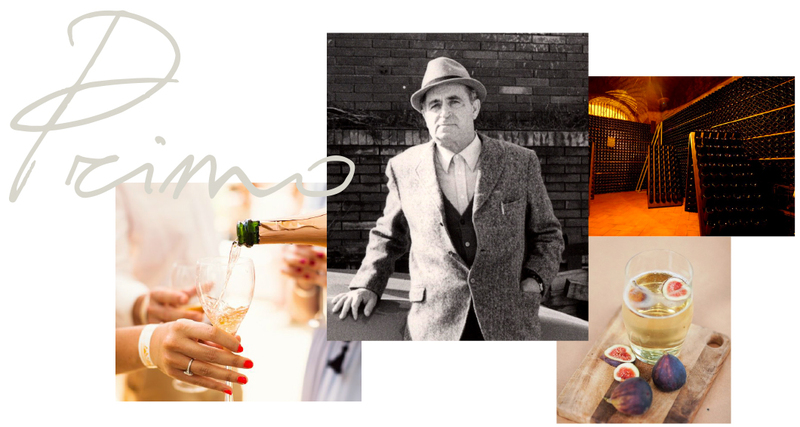 Primo wines only reveal their ripeness sip after sip, because the right moment has to be patiently awaited in order to be fully enjoyed. 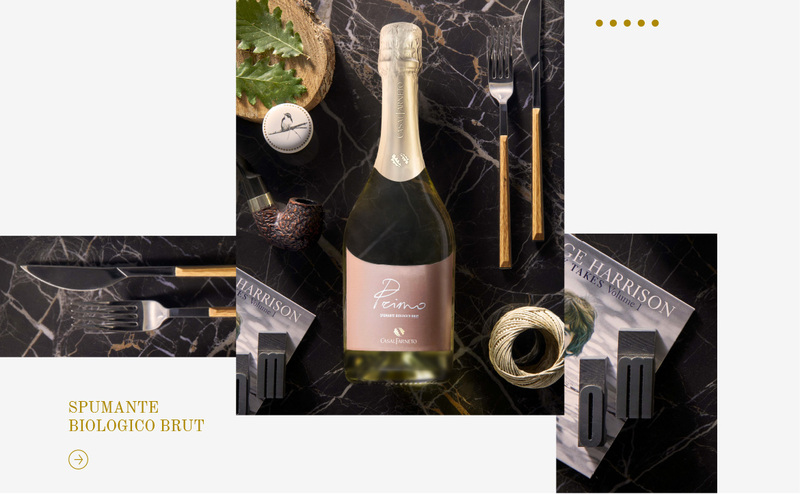 Elegant, bold and absolutley versatile: the Casalfarneto Brut produced by the “Traditional Method”, is the natural choice for those who enjoy combining a good meal to a persistent sparkle gifted with a delicate tone. After a 24 months prolonged fermentation this wine develops hints of bread crust and yeast, making it the perfcet match to fish-based dishes or simply to a joyful and memorable toast. Ready to savour, the wines produced by the Charmat Method undergo a sweet processing giving them a gentle taste enriched by a fruity and vibrant aroma. 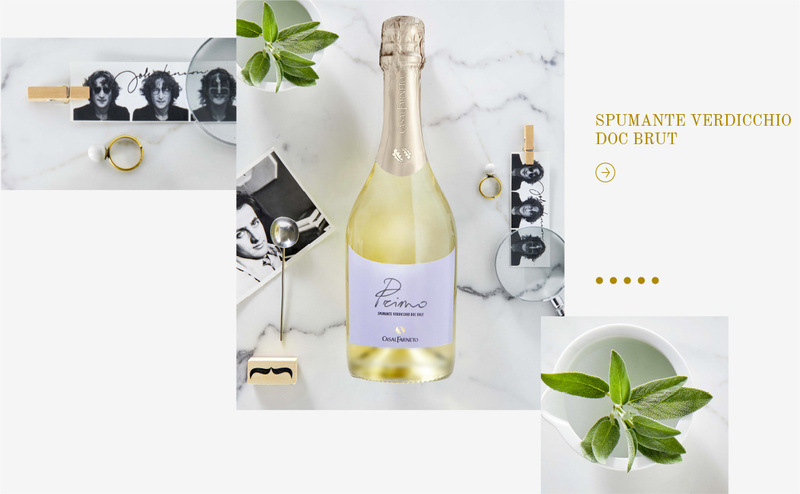 Ideal for aperitivo, each spumante is the essence of a thousand words and pleasant moments spent in good company. Originating from a noble base, this sparkling wine is obtained by Verdicchio grapes, whom shades of tradition it holds. Light and armonious its flavour resonates like the soulful melody of CasalFarneto. thanks to its fragrant and fresh acidity outlining a delicate and never invasive profile. With its vibrant and pleasant taste, Moscato offers the palate intense and sweet floral hints, typical of the vineyard it is born in. A classic among sparkling wines but never avarage, capable, indeed, to leave a mark at the very first sip.